We usually base our blog posts on questions and trends we hear from potential home buyers and our network of industry relationships. This time, we wanted to share a recent article in Crain's Chicago Business on "Chicago's Hottest Neighborhoods". Sometimes there are surprises and sometimes not. Often transformations take place quickly and other times it's a slow transition. Either way it's exciting times in the Windy City and were are always here to answer questions and help you find the neighborhood that best fits your needs. How did Crain's get the list of neighborhoods? They have a professional team of number crunchers who market data for the first six months of the year for each neighborhood, and compared it to data from the same period in 2016. They excluded neighborhoods with fewer than 25 sales during either six-month period. (Note that Chicago-based DataMade helped with the data-crunching.) Because CAR breaks out the data separately for houses and for attached housing, we have two hot lists for the city. In both cases, these are places where three major gauges of a housing market's temperature—number of sales, increase in prices and time on the market—are better than last year. In many of the city's 77 neighborhoods, at least one of those three is negative, or the improvement was slight. The article starts off with the Bridgeport neighborhood and it's the only city neighborhood that landed on two hot lists at the same time. In Bridgeport, the markets for single-family and attached homes (condos and townhouses), are both extremely popular and there is no end in sight for demand. Both types of residences are selling in bigger numbers, at higher prices and faster compared to last year. Why you may ask? Because of the neighborhood's closeness to the Loop, dynamic restaurant scene and amenities like Palmisano Park, built in an old quarry. 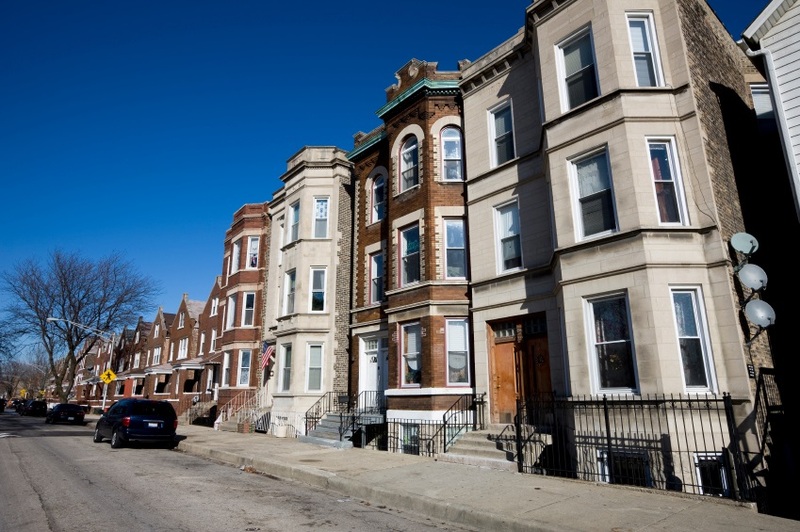 Chicago has 77 "official" neighborhoods and Bridgeport is the only one where both types of housing had a place at the top of Crain's midyear hot lists. Taking a look at South Chicago, there's a mini-wave of rehabs of foreclosed or otherwise distressed houses. This could be considered good news in an area of the city where the housing recovery has been slowest to arrive. At least six homes, in the past six months, have been bought in distress at $60,000 or less, rehabbed and resold at $150,000 or more. That's according to Crain's research in Midwest Real Estate Data's records, so we are keen to believe the news. Of note, an additional 25 homes sold in foreclosure haven't yet come back on the market as rehabs, but if they do, they may fuel further growth. We will certainly be keeping an eye on things. Montclare, a Northwest Side neighborhood near the suburb Elmwood Park, is also seeing a wave of action. Affordability is the draw, since it's on the Northwest Side. There you can get bungalows, a charming Cape Cods, or regal Georgian home for around the $350,000 mark. Listen to this one for proof of a neighborhood on the move: Henderson-Kuka represented buyers who in April bought a rehabbed five-bedroom house on Wolfram Street. The rehab firm, which had bought the house in November for $130,000, put it on the market in February priced at $339,900. Three weeks later, her clients had it under contract. Their sale closed in April at $347,000, about 2 percent over the asking price. We all know that well-established Bucktown and Logan Square have been hot for a while. Plus there's the arrival of restaurants and Revolution Brewing taproom. We heard that a three-bedroom on Elston Avenue came on the market in March at $369,900, with eight bids -- all were above the asking price. Ultimately the sale closed at $427,000. You do the math -- that's 15%+ over the asking price.